Product #5536 | SKU A15TG | 0.0 (no ratings yet) Thanks for your rating! 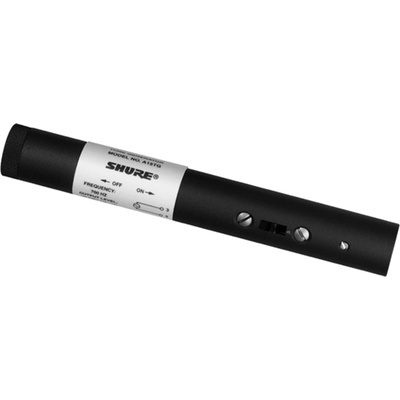 The Shure A15TG Tone Generator is a battery-powered 700 Hz signal source that can be used to troubleshoot low-impedance, balanced-line microphone inputs. The A15TG includes a recessed On-Off switch and a three-pin XLR audio connector. A removable end cap allows easy battery installation and removal. The A15TG can also tolerate the presence of phantom power, or a short circuit in the line it is driving. Built-in short circuit protection allows normal operation to resume after a short is removed. The A15TG can operate continuously for approximately 1000 hours on one 1.5V alkaline battery. To conserve battery power, make sure the On-Off switch is in the Off position when the A15TG is not in use.